Summer and swimming go hand in hand. At least most summers- this one MAY turn out to be the exception, unfortunately. My whole family loves pool afternoons, where we trek down to the neighborhood pool and hang out for hours. The only thing that would be better would be if we could have a pool in our own backyard (we can’t, the HOA says). The towels, sunscreen and swimsuits are in constant rotation at our house- it’s a sure sign of summer. If you’re family is full of water bugs like mine, your own above ground pooll may make a lot of sense (assuming your HOA says it’s ok). Check the amazing above ground pool options at Kayak Pools. Kayak Pools Midwest specializes in helping homeowners discover their pool personality and making the dream of a home pool a reality. Having a pool in your backyard means no schlepping all the towels, snacks, and pool noodles down the street or across town. If the thunderclouds part for thirty minutes, the kids could jump right in! Early morning and night swimming also become possibilities. You could say goodbye to swim club memberships and waterpark crowds, and your kitchen replaces the overpriced concession stand. And when a thunderstorm hits, there’s no mad dash to the car. Right now, Kayak Pools Midwest is looking for demo homesites to show off their new, virtually “maintenance-free” award-winning swimming pools. As a demo homesite, once your pool is installed, interested customers will come look at your pool to see if it’s right for them. 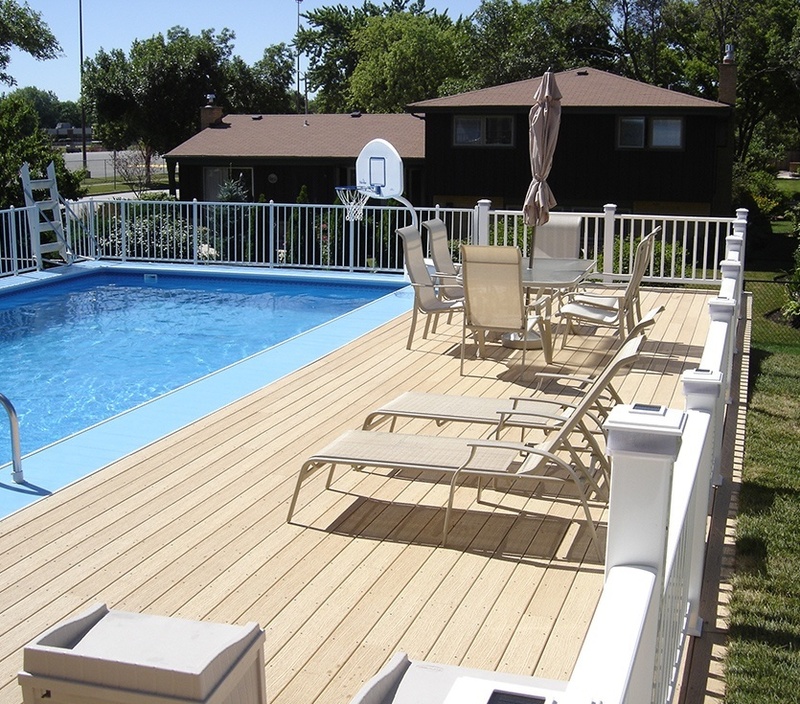 In return, you save thousands of dollars up front and enjoy the pool for many summers to come. Upfront savings, and payments as low as $159 a month makes the demo homesite program popular and a great value. It’s easy to apply to be a demo homesite, but spots are filling up quickly. Want more information about our Demo Homesite Program because you want to start your backyard vacation today? Call 877-977-4437 or complete the form here and they’ll call you! Disclosure: Thanks to Kayak Pools Midwest for sponsoring today’s post & making beautiful backyard pools a reality!